How Much Will Your Sign Cost? All right, all right. For most customers, price is soooo important . . . and we understand that. For a LIMITED TIME, we are offering FREE SHIPPING on all our CLOUD signs (UP TO 40 sq.’ only. ADD $25.00 per foot over 40 sq.’). Other Sign Products such as Channel Letters, Cabinets, Pylon Panels & LED Message Boards, do not qualify for free shipping. We are currently offering a 15% discount on our individual channel letter signs. That discount has already been considered in the Pricing Configurator. The Price Configurator (below) can quickly determine the price of your CLOUD or Channel letter sign. Though very accurate, you can certainly have us figure prices on custom features such as Pan-formed and Embossed signs. Here’s a quick comparison. IF you can get a price of $12.00 PER inch (plus shipping) for CHANNEL LETTERS (and you’ll have to look far and wide to find that price), each individually mounted 24″ letter will cost $288.00. If you have ONLY 8 letters, the cost is already more than a 2′ x 8′ CLOUD. Don’t you need more than just 8 letters? Of course you do, almost EVERYONE does! We have manufactured over 30,000 channel letters over the years, if that’s what you want or have to have, that’s fine. BUT, a CLOUD sign is a better value. I STARTED TALKING ABOUT CHANNEL LETTERS . . . a couple of paragraphs ago. The price of these letters depends upon the application. 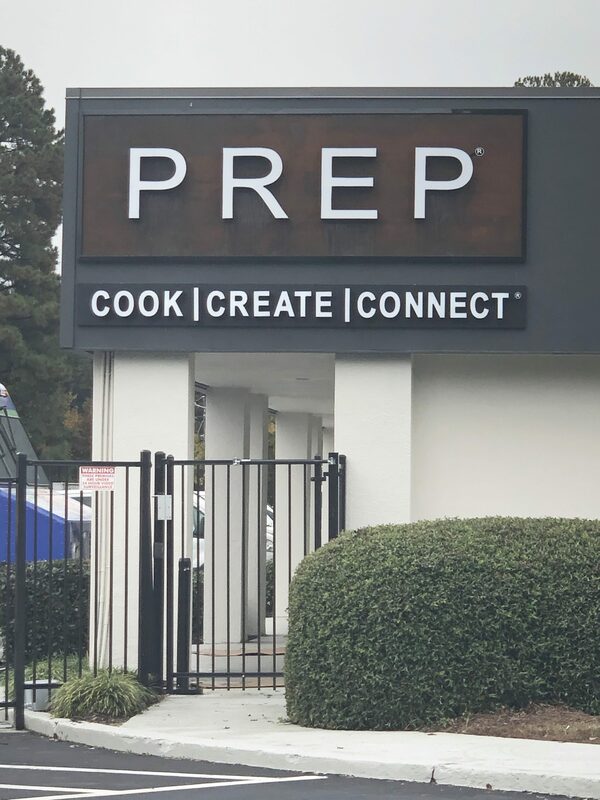 If the letters are going to be attached to a 5″ x 5″ RACEWAY and then bolted to the building facade, that cost is greater than channel letters that are INDIVIDUALLY mounted to the building. A raceway sign will add about $300.00 to your shipping cost. IF the application does NOT require a raceway, in other words, the letters are going to be FLUSH MOUNTED to the building facade or STUD MOUNTED, we will provide you with an installation template. This template is a large sheet of construction paper that has the letters traced upon it, showing where to drill your holes (for stud mounting). You simply tack the paper onto the facade and use a level to make sure the letters are straight. Shipping would be about $175.00 – $250.00 (NO RACEWAY).